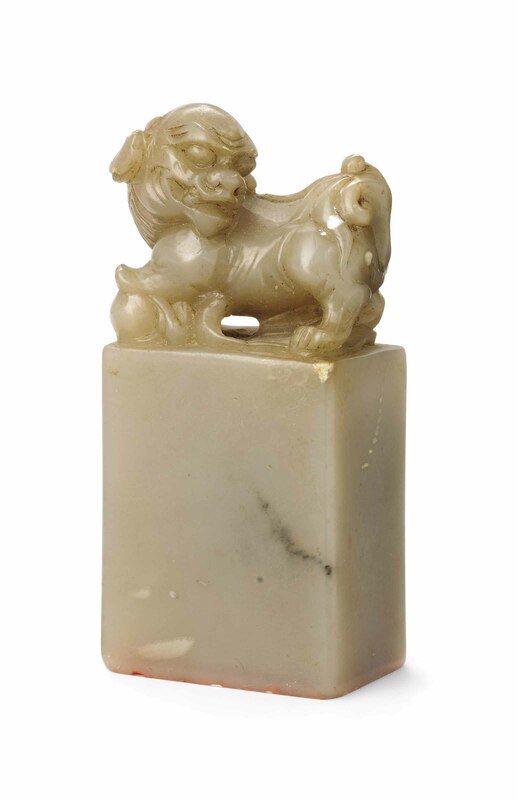 It is of rectangular form, surmounted by a Buddhist lion with bulging eyes and bifurcated tail, its head facing backwards with one front paw lifted on a brocade ball. The seal face reads 'Jiangwan yangxiao, sutai siguo', that may be translated as 'When the sun rises above the entwined river, I repent my past at the pavilion'. The stone is of a grey tone with mottled inclusions.